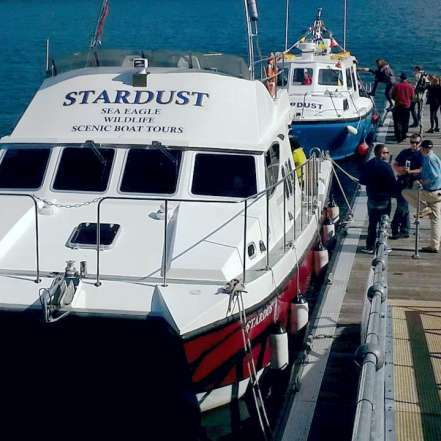 Stardust Boat Trips head out around Portree Bay and the Raasay Sound, perfect for wildlife watching or just to enjoy the views of Portree Harbour. During the summers months there is great chance of spotting Dolphins & Whales on a Stardust trip. 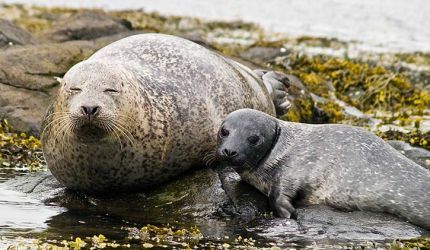 Just about every day both Common and the larger Grey Seals can be spotted while out in Portree Bay or the Raasay Sound. 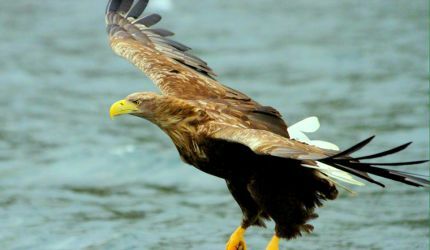 Stardust Boat Trips is the number 1 choice if you would like to see the stunning White-Tailed Eagles, the Uk’s largest and rarest bird of Prey. We run regular trips all year round, book your Boat Trip now to get out on the water in Portree Bay. 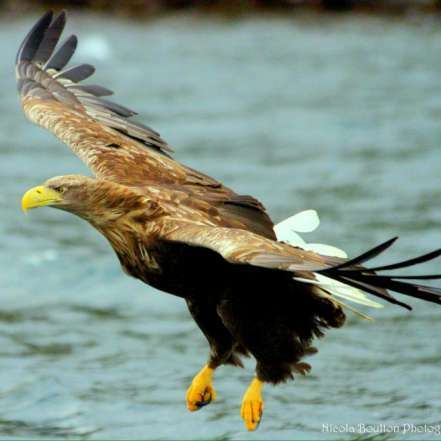 Get close up to the largest and rarest bird of prey in the UK, the White-Tailed Eagle. Cruise in comfort, style and safety on one of our fully insured vessels with wheel chair access. 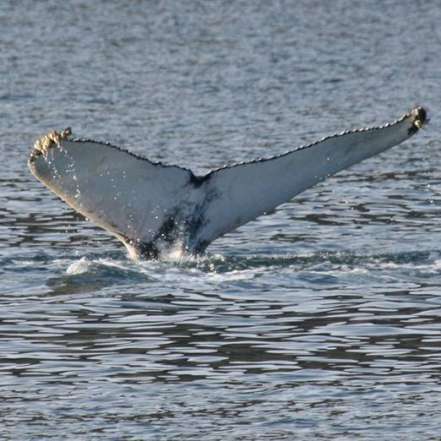 Whale and Dolphin sightings are a common occurrence during the summer months. With a choice of exciting trips, you'll be left with memories to last a lifetime. 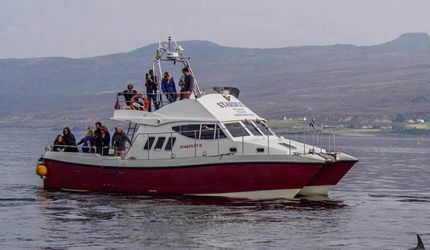 Join Stardust Boat Trips for the ultimate wildlife watching adventure on the West Coast of Scotland centred around the spectacular scenery of Portree Bay and the Raasay sound. Our experienced Skippers are highly qualified to ensure your comfort and safety so you can relax and enjoy your trip. Cruising out of Portree Harbour on the Isle of Skye we'll get you up close with the largest and rarest bird of prey in the UK, the White-tailed eagle. With an impressive wing span of 2.5 metres this eagle ranks as the 4th largest species of eagle in the world. As well as the White-tailed eagle we also have regular sightings of Dolphins, Whales, Seals, Basking Sharks and an array of charismatic birdlife including Puffins, Guillemots, Razorbills, Gannets and a whole lot more!! Cruise to the Port of Robbers on the picturesque Isle of Rona, or spectacular neighbouring Isle of Raasay while taking in the breath-taking scenery of the Cuillin Hills and The Old Man of Storr. 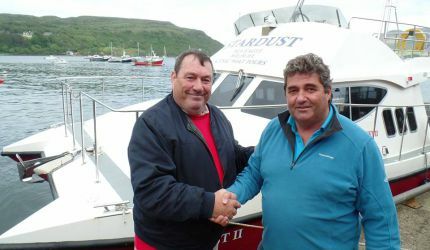 Stardust Boat Trips is also available for private charters, Birthdays, Hen and Stag parties or any other special occasion. 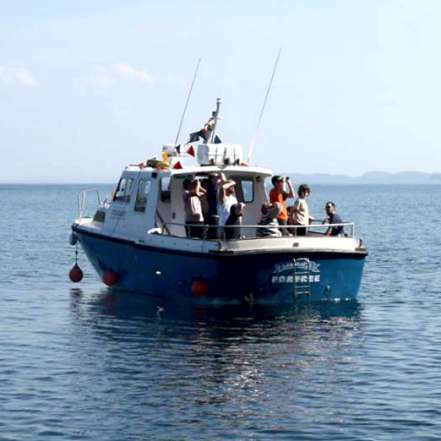 We also cater for bespoke trips including fishing, filming, photography and inter Island water taxi to name but a few. Just call our friendly staff anytime to discuss on +44 (0)7798 743858 or +44 (0)7795 385581. We are located at the Fish & Chip Shop next to the Lower Deck restaurant on Portree harbour (SatNav IV51 9DD) so feel free to come and say hi, we look forward to meeting you. Subscribe to our mailing list for monthly updates. If you are planning a visit to Skye and need to find accommodation and more information about our island we recommend IsleofSkye.com. Wildlife Safe aims to promote responsible wildlife-watching, through training, accreditation and awareness-raising.